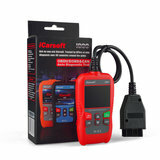 Works with most 1996 and newer cars & light trucks that are OBDII compliant. Reads and clears generic and manufacturer specific Diagnostic Trouble Codes (DTC's) and turns off check engine light. Supports multiple trouble code requests: generic codes, pending codes and manufacturer's specific codes. Reviews the emission readiness status of OBD monitors. Retrieves VIN (Vehicle Identification Number) on 2002 and newer vehicle that support Mode 9. Determines the Malfunction Indicator Lamp (MIL) status. Easy to use with one plug-in; highly reliable and accurate. Easy to read crystal-clear backlit display. Stand-alone unit with no need for an additional laptop or computer to operate. Small in size and conveniently fits in your palm. Safely communicates with the on-board computer. No batteries needed, powered via detachable OBDII cable. Read Codes | Read generic (P0, P2, P3, and U0), manufacturer specific (P1, P3, and U1) and pending Diagnostic Trouble Codes. 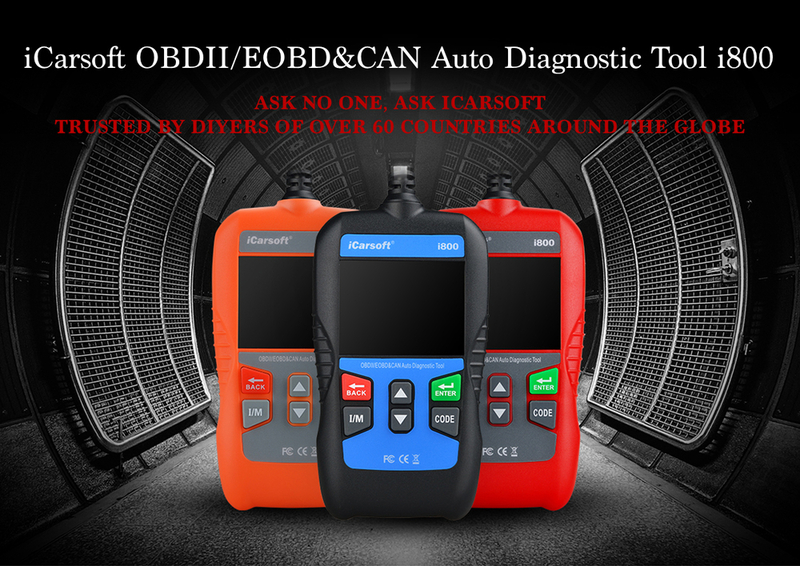 iCarsoft i800 supports most of the OBDII/EOBD test modes including CAN, ISO9141, KWP2000, J1850 VPW and J1850 PWM. iCarsoft i800 works on most of 2001 and later European OBDII compliant PETROL vehicles and most of 2004 and later European OBDII compliant DIESEL vehicles.